By the time 1966 ended, many of the groups in Texas that started out playing British Invasion and folk-rock music, were now immersing themselves in the newly emerging psychedelic music. The five groups that comprise this album reflect the changes that occurred during this period and four of them even changed their names to sound more psychedelic. The Nomads became Smoke, Carrols Mood became The Sights And Sounds, The New Imperials became The Front Page News, and The Boys became The Remaining Few. Represented by twelve tracks on this album, The Nomads/Smoke, started out playing folk-rock music, but by 1967 went psychedelic-as witnessed by their “freak-out” version of “My Little Red Book” replete with backwards tapes. “Carrols Mood” went from singing ballads to surreal songs such as “Mystical Bells”. The Front Page News went from the soul of “Baby Let Me Bang Your Box” to the fuzz drenched “Thoughts and Afterthoughts”. 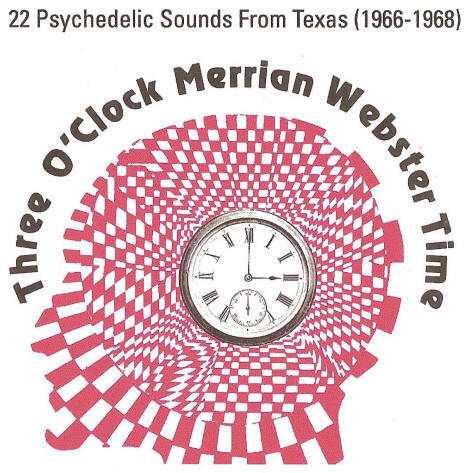 If the 13th Floor Elevators were the epitome of what a Texas psychedelic band was, then the groups on this album were not far behind in trying to emulate that state of existence. Here then are twenty-two tracks compiling the changes that occurred from late 1966 to 1968, when the Texas bands went metaphorically speaking from “Kool-Aid” to “Electric Kool-Aid Acid”. The Front Page News—They hailed from Tulsa and were originally a soul group known as The New Imperials (replete with a couple of backup singers). They released a double entendre song called “Baby Let Me Bang Your Box”. In 1967, the band was re-located to Ft. Worth, less the background singers. The name change to The Front Page News did not occur until after the recording sessions for “Thoughts” (original title was “Thoughts And Afterthoughts”) and “You Better Behave”. After the recording sessions, a lease deal with Dial Records was arranged and the single was pressed in large quantities. Unfortunately few copies were sold due to no promotion by the label. The single did receive local airplay on the Ft. Worth stations. Of note is the fact that the single version of “Thoughts” was edited down, so that the song finished with a fade out, before the loud fuzz guitar and feedback. The unedited version was released on the CD, “Your Mind Works In Reverse”, for the first time back in 1998 and then on a volume of “Garage Beat”, but a glitch at the end of the song remained. This version of “Thoughts” is a different mix and has no defect on it. The flip side “You Better Behave” displayed the rocking soul sound of the band.